This past week at E3 Bethesda announced the next in their line of critically acclaimed role playing games – ‘Fallout 4’. 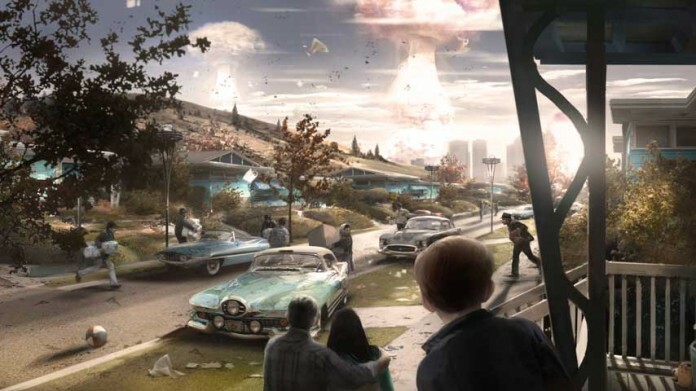 Assuming the mantle of a denizen of Vault 111, living all the way from your idyllic family life before the nuclear warheads ravaged the land to your re-emergence in the newly the shattered, fractured landscape of Boston, Fallout 4 looks set to introduce a whole new array of features in it’s own right. At E3 Bethesda proudly displayed a whole bevy of innovations to the already hit-franchise. From expansions on the weapon modification system to a very tantalizing take on player-house that had many stalwarts to the series watering at the mouth at the prospect of building their own defensible haven in the wastelands – it seems no expenses were spared when it came to marking Fallout 4 as a notch above the other inclusions to the series. One feature was not truly brushed upon, though, and the savvier fan can’t help but think it may be because Bethesda may be leaving it as one final trick up their sleeve – one last card to pull at a closer date to the game’s eventual release. Arguably the most hotly-debated and discussed subject pertaining to the Fallout series. The notion has been both opposed and adored by fans – clamored for and vehemently rejected in it’s concept, but could such a thing actually work? Is it reasonable and feasible to be cruising around the Wastes in a 50’s style automobile without a care in the world or, more importantly, harming the overall feel of the game? That’s the first rebuttal brought up in response to cars – would they harm the atmosphere? The atmosphere being very important to Fallout, it’s one of trepidation-starved adventure, a trek throughout vast wastes, visiting unexplored locations completely clueless as to what, or who, you may find. It’s clear to see how buzzing around at god-knows-what miles per hour past all these wondrous sites best properly explored with an attentive eye on-foot may do it’s part in detracting from this experience. So how do you counter this? Using these cars only in vast, sparse and empty stretches of highway between locations better seen on-foot? Doesn’t that just seem like a lazy stand-in for fast-travel, though? How about areas of the map dedicated solely to them? Maybe even confine vehicular usage to its own mini-game? Each way they decide to go about it seems to have 50 pros and cons to it – one thing’s for sure, it may be a feature Bethesda could benefit tremendously from cashing in on. With so much organic fan-buzz having accumulated about this subject over the years, crossing over seamlessly with the years of excitement and anticipation about Fallout 4 that Bethesda has finally cashed in on, cars – coupled with the sheer immensity of the new-found customization in Fallout 4 – could be a huge selling point for a game that, frankly, doesn’t need any more selling points. But if it means some Mad Max style vehicular warfare, would it really hurt to have a few more?